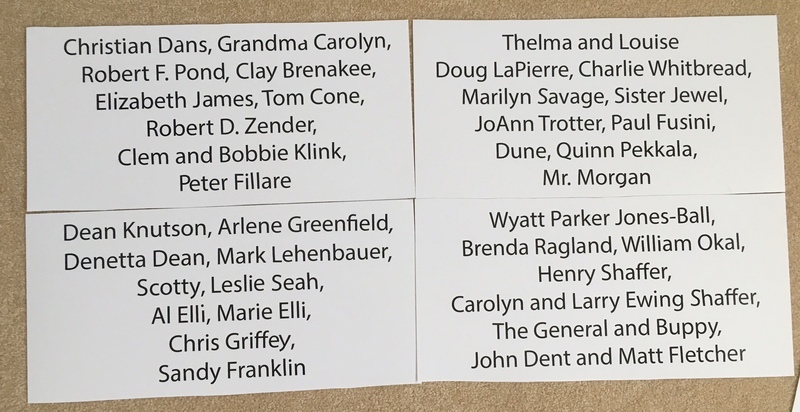 These are the panels of names of friends and loved ones that are no longer with us that will be installed in the headliner and taking the journey with us. If you want to add a loved one, please send me a message. They won’t be printed, but I am bringing a Sharpie. It’s never too late. We would be honored.